​Fitness is 80% nutrition. You can't outrun your fork. 1. Fill up the Google order form through the link below. 2. Wait for a text confirmation with billing and payment details within 24 hours. 3. Pay through BPI / BDO bank deposit, ATM or online transfer. 4. 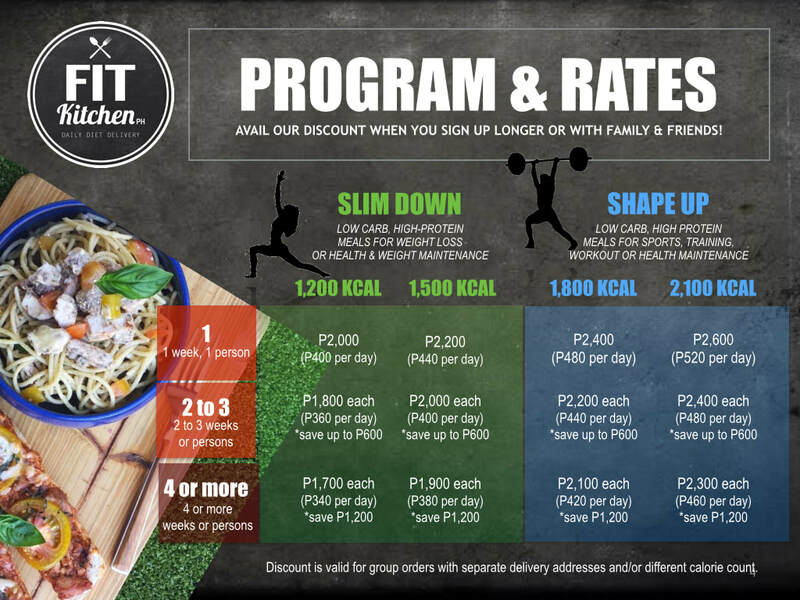 E-mail your deposit slip at reserve@fitkitchenPH.com until Saturday.